Félix Torres Amat de Palou (1772-1849) was born in Barcelona, a Catholic priest and language expert, and in charge of the project. He taught philosophy, mathematics and theology in Tarragona, and translated the Bible for the kings of Spain into "vulgar Castilian". After moving from Madrid to Barcelona in 1817 he became vicario general, senator of the city, and supported the Trienio Liberal (1820-1823). When he edited the Crónica of Pujades, he chose Pujol and Bofarull as collaborators who may have shared his positive views of Jansenism, a heretic movement of a Protestant leaning within the folds of the Church. His apologetic biography of an uncle, an open Jansenist, was put on the Index by the Vatican, which may have prevented his election as Bishop of Barcelona. After completing the Crónica, Torres retired to the monastery San Jeroni de la Murtra near Barcelona in 1831, where Pierre de Marca had spent his summers to write the Marca hispanica. 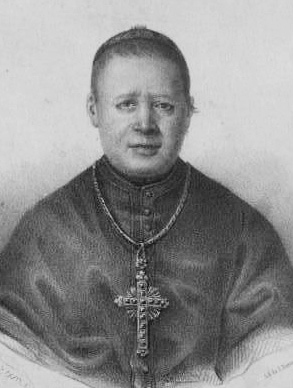 In spite of his questionable faith he was ordained Bishop of Astorga in 1834 and celebrated as obispo reformador. 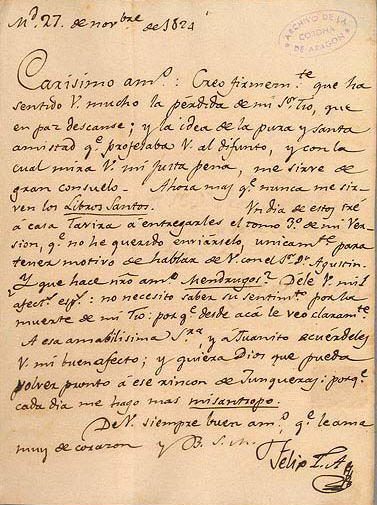 He also continued the work of his late brother Ignasi, a Jesuit, on the "Memorias para ayudar a formar un diccionario critico de los escritores catalanes ...", published in 1836. (Here is the link, where Pujades is listed on pp. 209-14, and a letter to Bofarull in 1824). 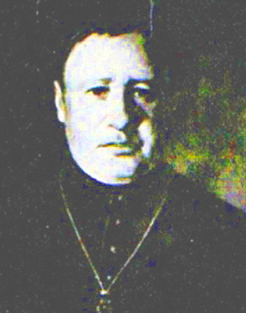 Albert Pujol Gurena (1783-1847) was also from Barcelona, a doctor of theology and abbot of "Discalced Augustinians" who had reformed during the Counter-Reformation, but Pujol left for a secular life in 1822. He is probably the most fascinating personage of this trio of liberals! Close friends called him Pujolito because he was lame (cojo) and "short in stature - but large in talents and literary activities" (1). He taught at Santa Anna, a College in Barcelona, and was a member of the Academia de Ciencas y Artes since 1820 as director of various departments while still an abbot. He founded later at the Acadèmia de Bones Lletres a department of Spanish language, literature and history, which students could attended for free. 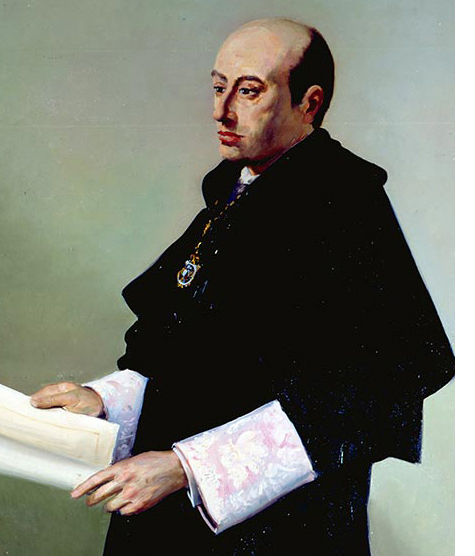 Pujol was also secretary of the Casa Provincial de Caritat (Caritas), co-founder of the Societat d'Amics del Pais, active in economics, and presided over numerous commissions to benefit public education. He became vice-president and rector of the restored University of Barcelona in 1836, where he taught canon law, and rector of the Universitat Literària de Cervera (1838-41). Biographers point out that he is remembered for liberal ideas, eloquent sermons on morality, and inspirational orations and eulogies. Pròsper de Bofarull Mascaró (1777-1859) was born in Reus, Catalonia, and director of the Archives of the Crown of Aragon (1814-1849), president of the Academia de Bones Lletres de Barcelona (1822), and like Pujades, a historian with a doctorate in law. He was a lawyer in Madrid and followed the government to the Cádiz Cortes during the Peninsular War, where he met his wife. He is described as a "moderate liberal and meticulous person" and joined the commission to plan the future Universitat Literària de Barcelona, and a group to save documents from the monasteries Sant Cugat del Vallès and Santa Maria de Ripoll. After the latter was secularized, its archives were destroyed by fire in 1835 during the Carlist Wars, and his work with these documents and the Crónica inspired him to write Los Condes de Barcelona Vindicados, published in 1836. 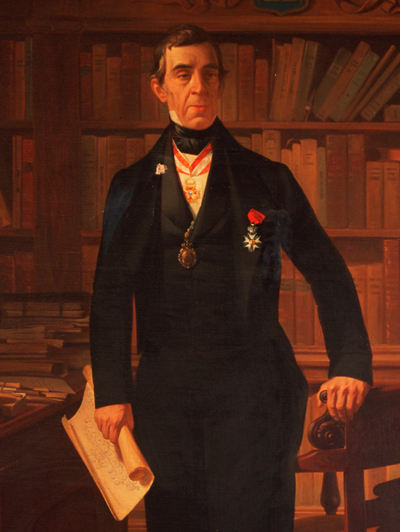 He also wrote a controversial, pro-Catalan interpretation of the Llibre del Repartiment del Regne de Valéncia in 1838 (2), and became a Chevalier of the French Legion d'Honneur in 1847. 1. Cayetano Barraquer y Roviralta, Las Casas de Religiosos en Cataluña, Tomo II, (Barcelona, 1906), pp. 199-204. 2. Julio Martín Alarcón, El archivero catalán que manipuló los documentos de la Edad Media, (El Mundo, 09/21/2015), see link. Bofarull deserves the benefit of doubt because of a spectacular forgery by Roig i Jalpi, which Torres Amat didn't even notice and we will cover below! We should add that our portrait Torres Amat was difficult to find because most biographies recycle this picture from his early years as Bible translator, which doesn't quite match his image as a charismatic reformer and scholar. We found our portrait in a journal from Astorga, which is in Spanish and offers interesting details about his liberal views. It also mentions that he had a serious skin disease and lost his beard.